CORNELIUS, N.C. — The calendar will show it’s Labor Day weekend, but this weekend’s NASCAR Sprint Cup race at Darlington Raceway might seem more like a Father’s Day celebration to David Ragan and his family. Ragan’s No. 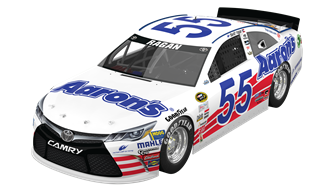 55 Ol’ Aaron’s Dream Machine Toyota will carry a throwback paint scheme honoring Ragan’s father Ken Ragan. The 64-year-old from Unadilla, Ga., raced in 50 Sprint Cup races from 1983-90 driving mostly for his brother Marvin. His career included five starts at Darlington Raceway. Throwback paint schemes and a traditional parade through the streets of Darlington celebrating the 66th Southern 500 are just some of the weekend’s highlights as both NASCAR and the track honor the history of the sport. With just two races before the start of the Chase for the NASCAR Sprint Cup, Ragan also knows there’s work to be done in Darlington. 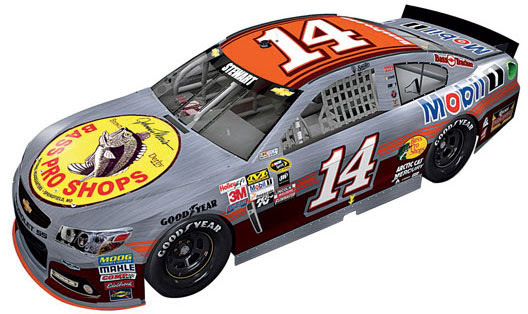 He needs a victory Sunday night or at Richmond next weekend to secure a place in the 2015 Chase. 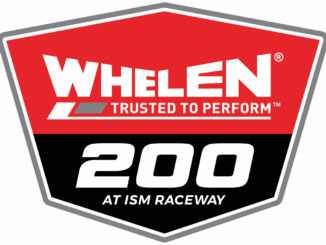 Ragan has raced well in the last several weeks and knows anything can happen during 500-miles of racing at Darlington. 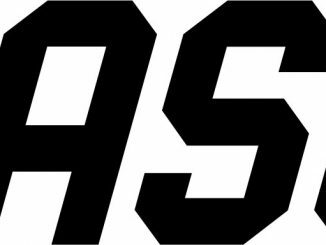 · DARLINGTON APPEARANCES: Ragan and his father Ken will sign autographs 4-5 p.m. Saturday at the Aaron’s at 111 Pamplico Highway in Florence. Father and son will also join in the Southern 500 parade in Darlington at 7 p.m. Saturday. · AARON’S: Aaron’s offers top name brands in furniture, electronics and appliances – without needing credit – with affordable monthly payments. Aaron’s makes lease ownership easy by offering customers the option to lease to own online at Aarons.com with delivery and setup – or shop at one of more than 2,000 local Aaron’s stores all across North America. Aaron’s is ready to help customers own it and will work with them every step of the way. · BIG SCORE: Aaron’s is excited to welcome back “Big Score” one of our favorite and top performing promotions! Visit a store from now until Sept. 30 to Spin and Save up to $100 off your first month’s payment on a new lease agreement or shop online at Aarons.com for a Special Big Score offer. Plus, enter for a chance to win a $5,000 Aaron’s shopping spree! Customers will spin the wheel to reveal the discount amount ($25, $50, $75 or $100.) Go to Aarons.com for more details. · No. 55 CREW CHIEF BRIAN PATTIE: Pattie, 40, joined MWR in 2012 when it formed the No. 15 team-leading driver Clint Bowyer to three victories and a second-place finish in the 2012 Chase for the NASCAR Sprint Cup. The Zephyrhills, Fla., native began crew chief duties in the XFINITY Series for Joe Nemechek’s NEMCO Motorsports in 1997 before moving to a similar role at Earnhardt Ganassi Racing in 2004. In May 2008, he moved to the Sprint Cup Series with driver Juan Montoya. 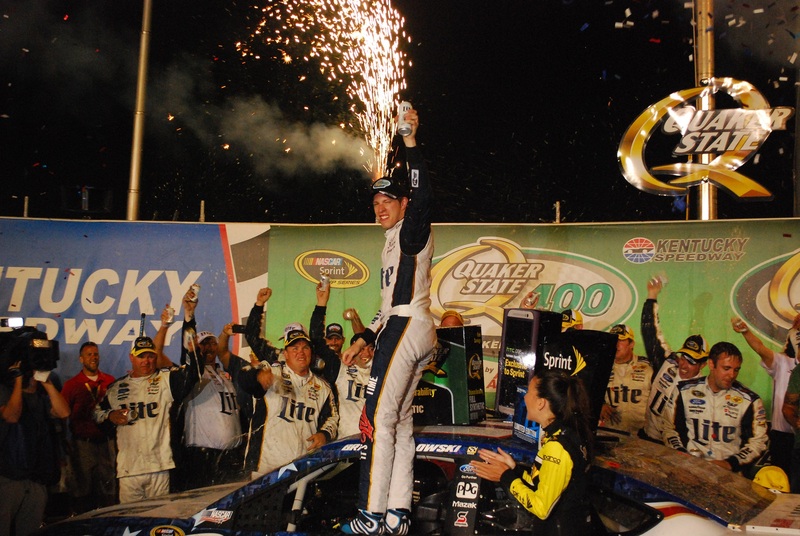 The duo earned a berth in the 2009 Chase and a win at Watkins Glen in 2010. Pattie owns four Sprint Cup and 10 XFINITY Series victories as a crew chief. The father of four is an avid golfer and supporter of the Florida State Seminoles. 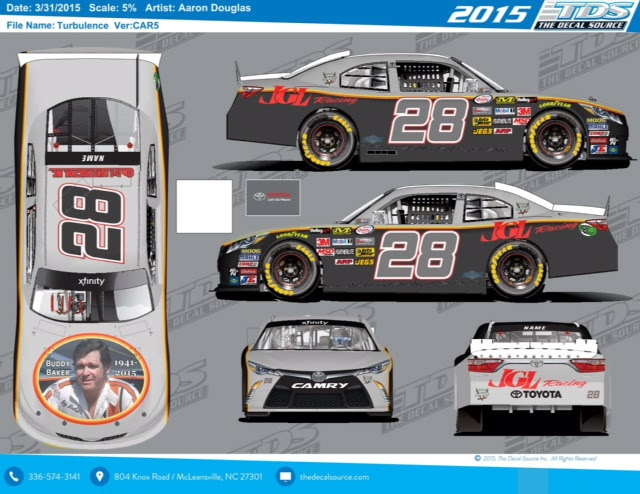 In June 2015, MWR paired Pattie with David Ragan on its No. 55 team.